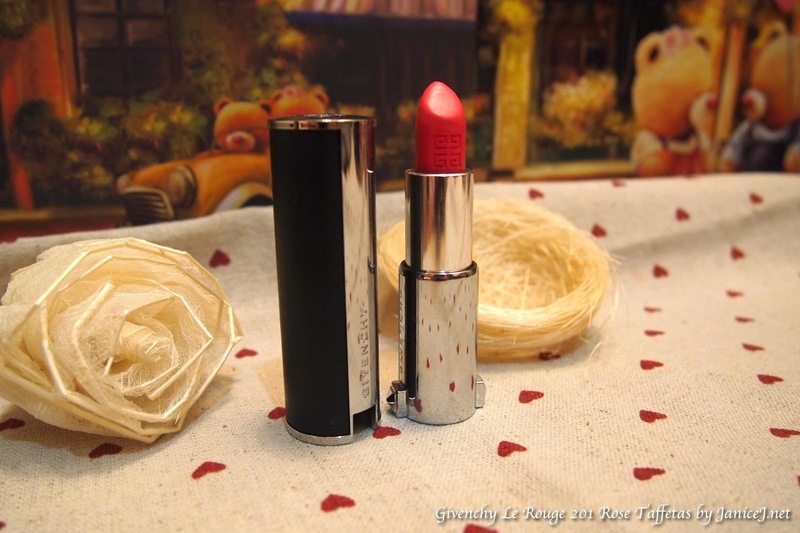 2014 has been a "lipsticks" years to me. 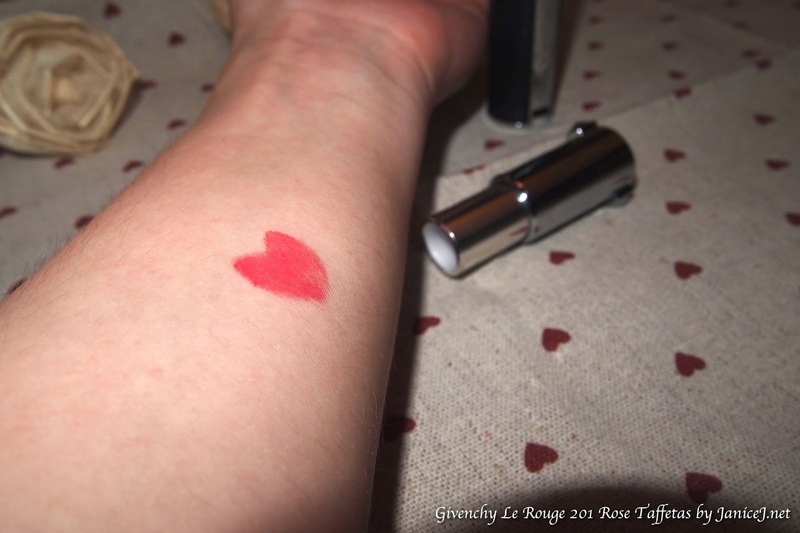 I've bought God knows how many lipsticks and here is one of my favourite! 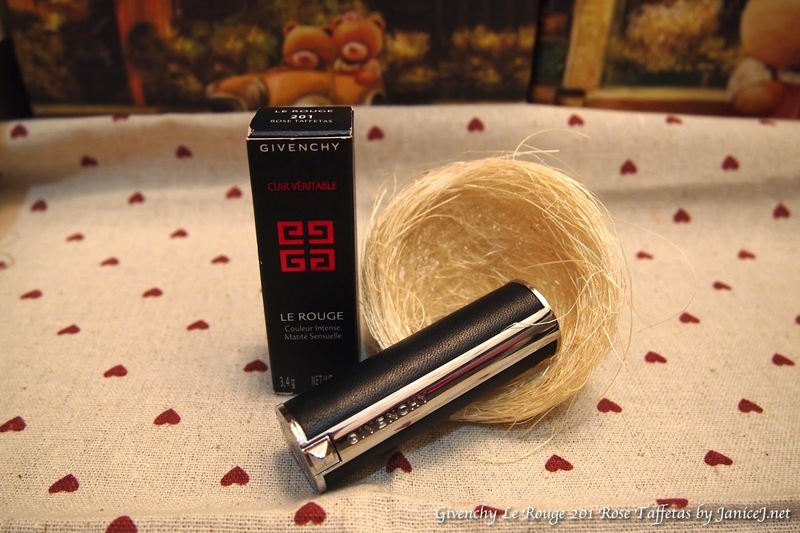 I spotted this lipstick when Givenchy first launch in Sephora Gurney Paragon Penang. I wanted to get the four colour loose powder at first but ended up with this. There was not much tester around since the brand is new so I searched around Chinese social media and found out that the colour 201 Rose Taffetas is the best selling colour of the series. 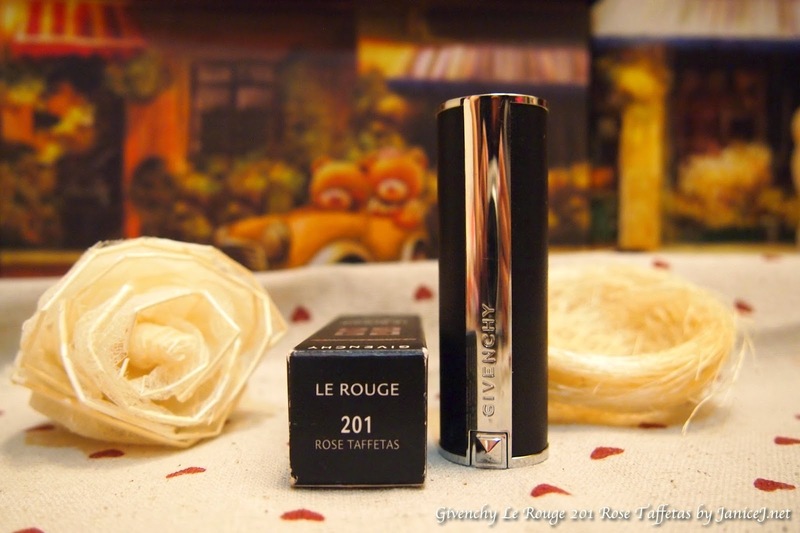 The lipstick looks really luxurious as it is wrapped in nappa leather. I really want the limited edition red leather one but I couldn't get one on hand. 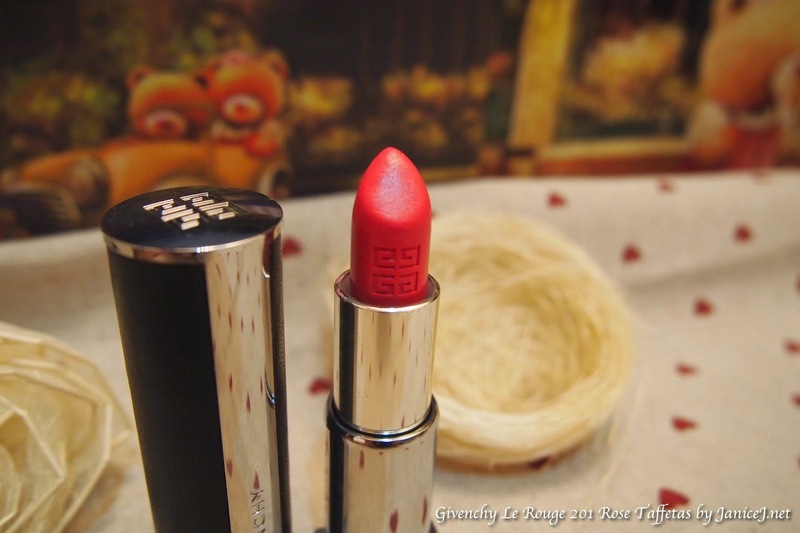 Logo of the brand is shown on the lipstick too. 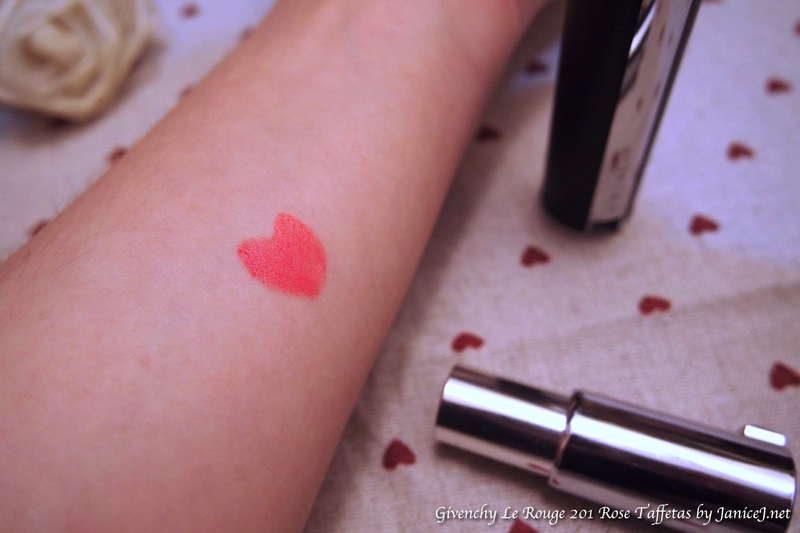 The lipstick has a slight warm orange tone, but containing more of the pink tone. 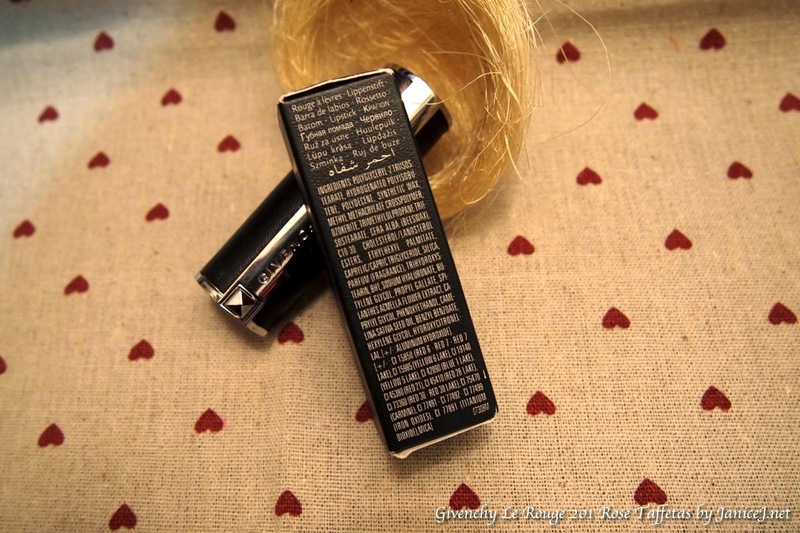 It is lightly matte in colour but still shine without making the lips dry. It weight 2.4g. It looks really pretty even under flash. Giving a rose petal likes colour. 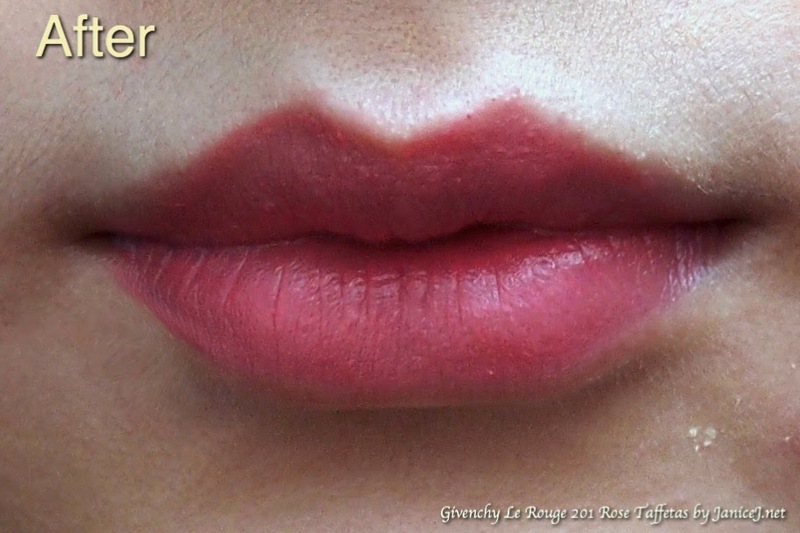 The lipstick is quite soft and moisturising. It does not dries the lips out. I really really like the feel of the lipsticks on my lips. 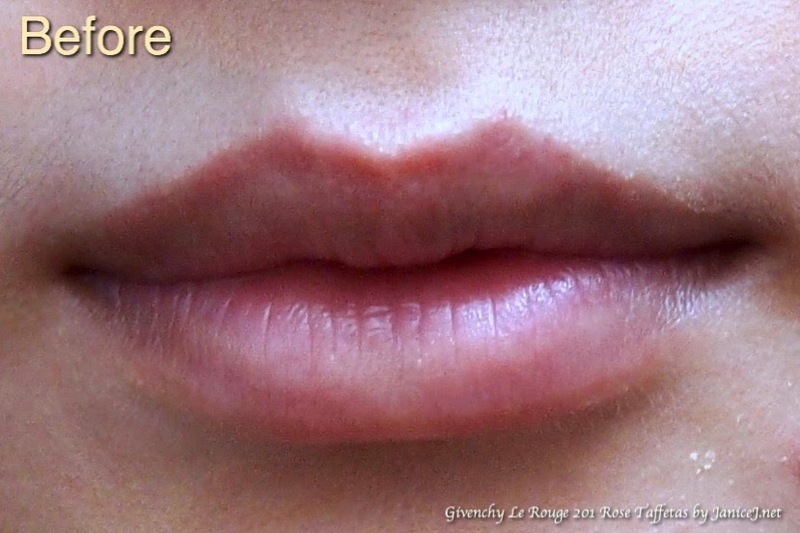 However, it does not really stain the lips and can be wipe off quite easily (eating/drinking). I use the Canmake Cleansing Stick to remove my lips makeup at night if I don't do eye makeup for the day. It really saves me time! Pretty but pity, the lipstick is too soft that it breaks at the base :( Just a friendly reminder, be gentle.